With over 20 years of bike racing and triathlon racing experience under his belt, most of which have been (and still is) racing at the elite level, Cody brings a boat load of training and racing experience to his coaching. In 2003, Cody founded his coaching and training company, Sessions:6 Sport Performance (formerly Endurance Performance Coaching), with the intent of helping others achieve their goals in endurance sport racing. The founding principals of Cody's training involves building a highly developed aerobic and strength base. Maximum aerobic fitness comes from years of aerobic training but can be improved on an annual cycle (typically multiple cycles within a calendar year) with focused aerobic training involving both heart-rate and power (bike)/pace (run) monitoring and frequent testing. Once an aerobic base has been established, athletes can achieve optimal racing fitness within a few short weeks of high intensity training structured around their specific racing goals. Combining aerobic training, strength training, diet and nutrition, skill work, stress management, and mental strategies, Cody's athletes are able to balance their training around there life and achieve their fullest athletic potential while remaining happy, healthy and motivated year after year. 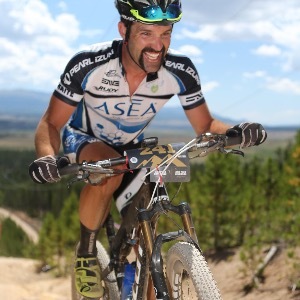 Never far from a good tan and a clean shave, Cody works hard at making coaching, training and racing his profession, and enjoys working with other athletes of similar character. A HRM is required. Power meter is highly recommended. Success. Coach Cody Waite has been notified of your message. v2.0 - MARATHON MOUNTAIN BIKE: 31-week Complete Program (phases 1-4) - Reusable - SAVE 20%! v2.0 - ULTRA-MARATHON MTB: 33-week Complete Training Plan (Phases 1-4) - Reusable - SAVE 20%! v2.0 - XC MOUNTAIN BIKE: 29-week Complete Training Plan (Phases 1-4) - Reusable - SAVE 20%!